Another year, another punishment for parents in the shape of an Ice Age episode. This franchise that does not know when to stop and has long outlived its welcome comes to us with Episode 5, Collision Course. The plot is completely redundant; there is danger, the heroes figure it out, they travel a bit, they stumble upon baddies, they sort things out. Formula movies could not be more formulistic. As far as the heroes are concerned, they are pretty much the usual gang + Simon Pegg (who has been there before, too, but is a relatively recent addition). The novelty, if you will, is with Scrat's character taking a more leading role. The same way the accountants at Despicable Me figured out it is the Minions that the kids like the most and are most likely to earn a buck, so did the Ice Age accountants figure out that with Scrat they are holding the key to parents' Port Knox. The other curious addition is a Neil deGrasse Tyson contributing his voice talent and the character of an astronomer. But is this enough to generate a good movie? No, not in the least. 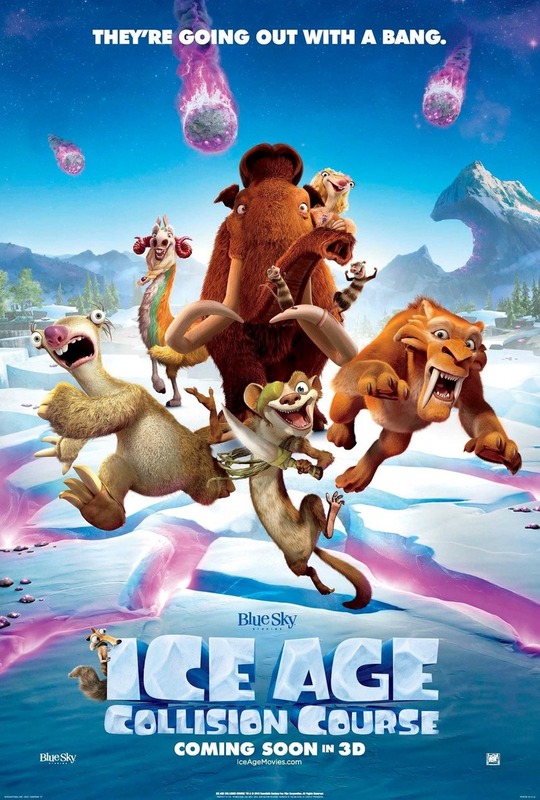 Ice Age: Collision Course is just another parental trap devoid of any spark and worthy of 2 out of 5 crabs.